WASHINGTON (Reuters) - Representatives of Venezuelan opposition leader Juan Guaido have taken control of three of the country's diplomatic properties in the United States, Guaido's U.S. envoy said on Monday, as the opposition presses its bid to oust socialist President Nicolas Maduro. 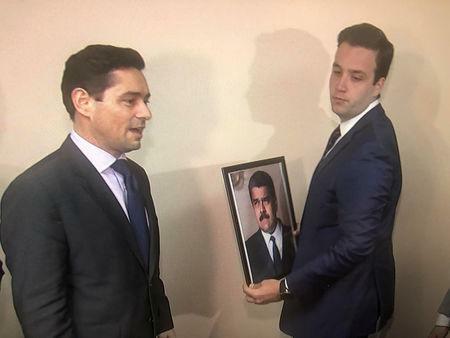 Vecchio spoke alongside Colonel Jose Luis Silva, Venezuela's military attache to Washington who recognized Guaido on Jan. 27. 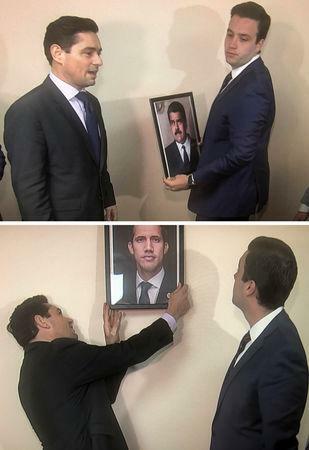 Few other high-ranking members of the military have heeded Guaido's call to break with Maduro, who retains the support of the armed forces and control of state functions.